In this day and age, almost everyone has at least one credit card. If you are looking to apply for a home loan, there are a number of factors you need to keep in mind. These factors can affect your eligibility with some lenders. They can also lead to last minute disasters – such as being declined. 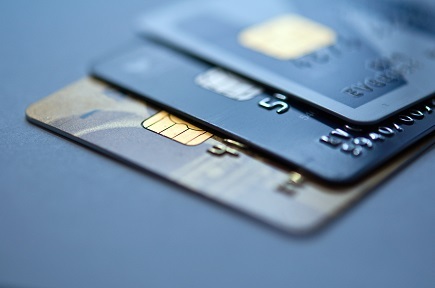 There are a number of ways that having a credit card, or multiple cards, can affect your home loan application. Some of these are straightforward – such as your credit card limit. Obviously, paying on time is also very important. Late payments are usually taken very seriously by lenders, and can make them think twice about approving your home loan. But one issue that many people might not think about, is going over their credit limit. If you have automatic payments coming out of your credit card, or your card is close to being maxed out and you get hit with a fee, it’s very easy to go over your limit. You might think that this isn’t a big deal, especially if it’s not by a large amount, or you paid the over limit amount quickly. Unfortunately, many lenders don’t see it this way at all. Letting your credit card go over limit, can be grounds for declining your home loan application. Lenders often go over your bank and credit card statements during the later stages of a home loan application. This can be particularly problematic, because it’s then too late for you to decide not to apply without marking your credit card file. And by this point, you may already be looking at properties, so a decline can be devastating. At Bee Finance Savvy, we help our clients avoid these sorts of problems. We go over our clients’ financials, including their credit card statements, with a fine tooth comb. This allows us to identify any potential issues before they can cause problems. There are a number of ways we help our clients deal with these issues. Sometimes we’re able to find our clients a lender who’s not going to hold these issues against them. Other times, we can work with our clients, to help them achieve a clean credit history for a certain period of time. We then reassess their situation, to make sure their credit card statements are now problem free, and that they’re ready to apply. If you’d help from a broker willing to put in the extra effort to make sure you don’t have hidden problems that could get you declined, you’ve come to the right place. Our wonderful broker Desiree pays exceptional attention to detail, to provide her clients with stress-free, problem-free home loan applications.